Yesterday she was a fairy, today she's a firefighter. Who knows what she'll be tomorrow? 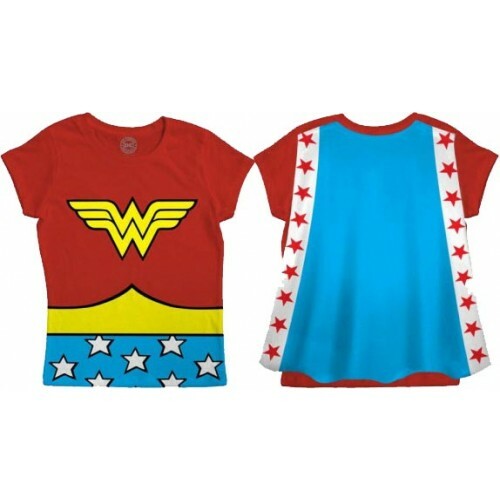 From city playsets to puppet theaters to superhero costumes, you'll find everything she needs to let her imagination soar. 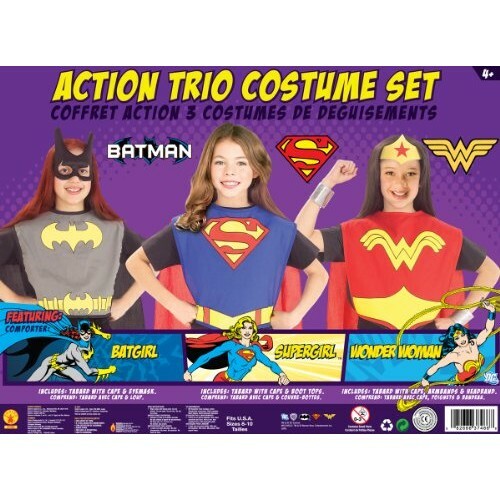 For our recommendations of dolls and action figures for your Mighty Girl, visit our Dolls & Action Figures section in our Holiday Guide. 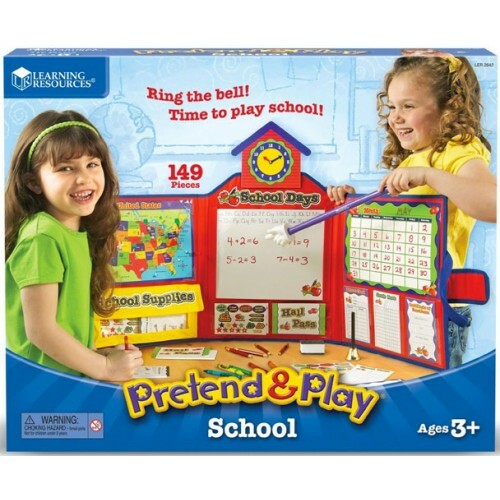 To visit our entire collection of pretend play toys, visit our Imaginative Play section. 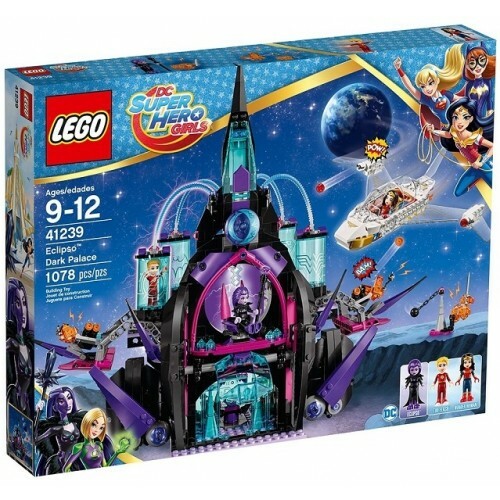 Join the DC Super Hero Girls as they learn the tricks of the trade at the LEGO DC Super Hero High School! 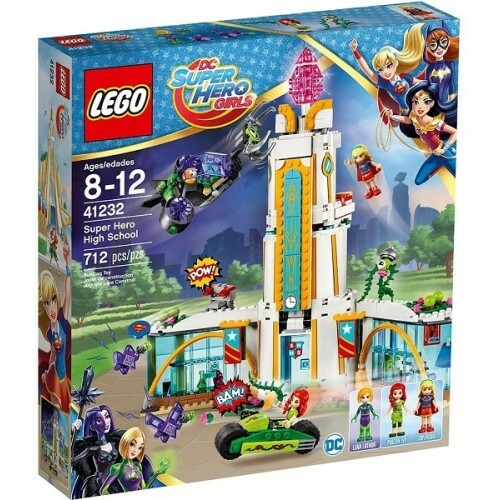 This 712-piece set includes minidoll figures of Poison Ivy, Supergirl, and Lena Luthor, and builds a three-level school building complete with cafe, swiveling classrooms, chain and disc shooters, and more. 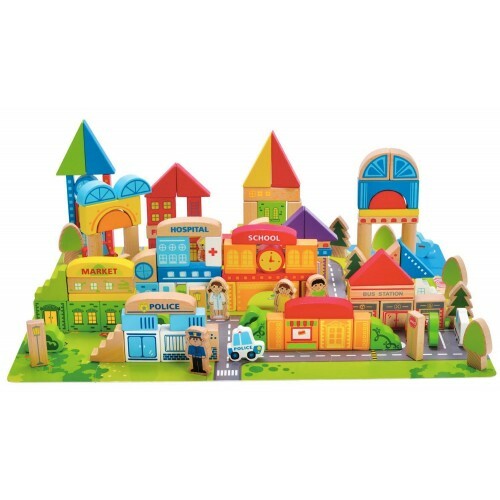 It's a fun building challenge that turns into an awesome space for pretend superhero play. 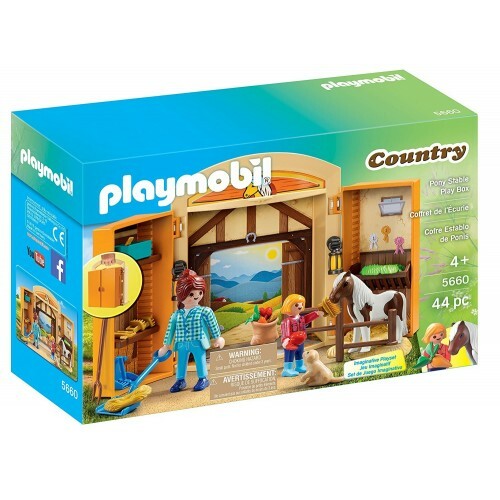 You get a whole lot of portable pony fun with this play box from Playmobil! 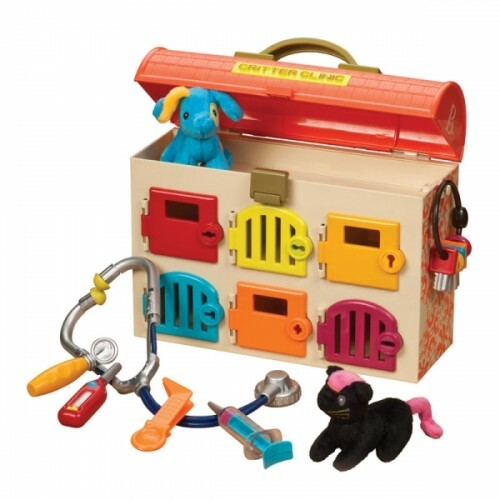 Open the doors to reveal a stable, complete with a small stall, grooming tools, apples and carrots, and everything else you need to take care of your pony friend. 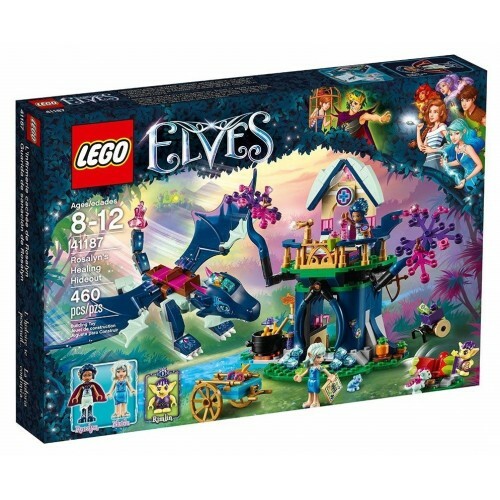 One pony, one adult figure, and one child figure are also included. 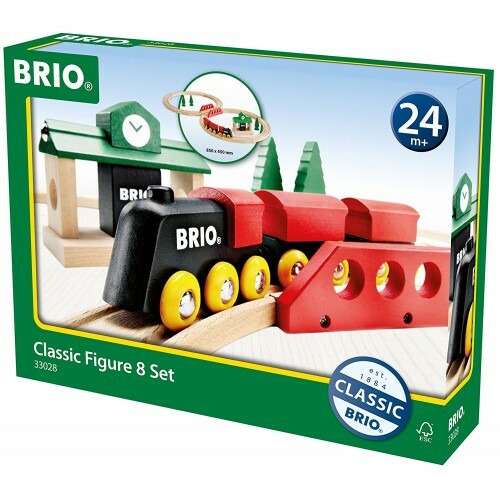 Everything stashes neatly inside the box, and a handle on the top makes it easy to bring your play on the go! 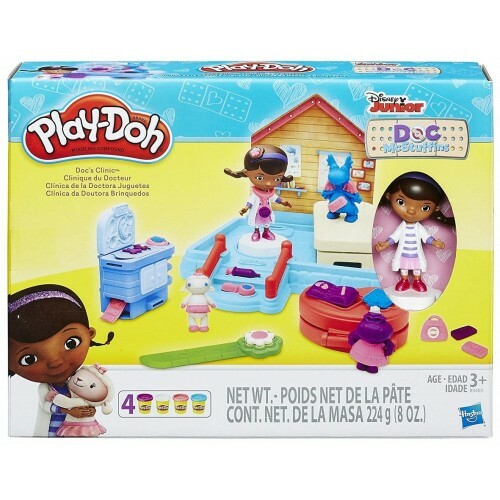 As Chief Resident of the Toy Hospital, Doc McStuffins has plenty of patients to see! Check patients in at Reception, then direct them to the Check-Up Center, Veterinary Clinic, or Nursery. The Command Center and Helipad are ready when an emergency comes in! 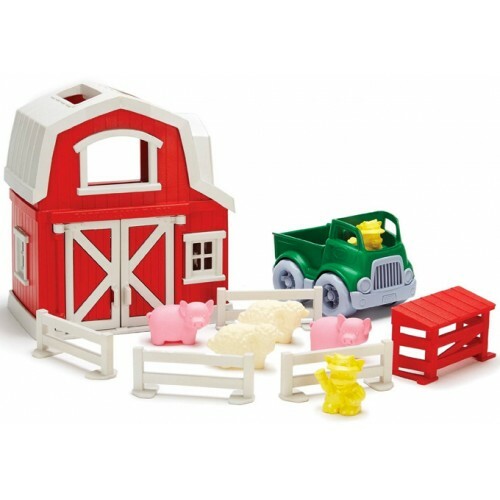 This great playset is sure to provide hours of pretend play fun. 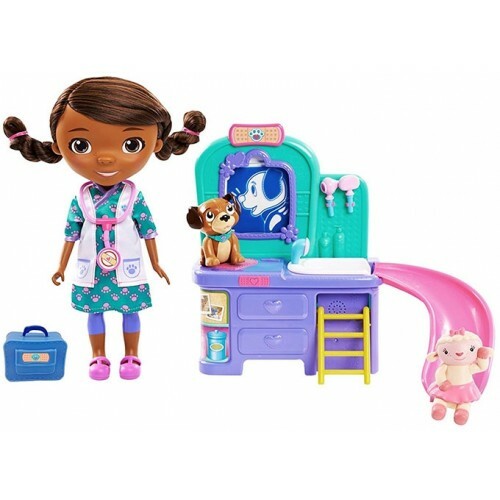 Chief Resident Doc, Rhonda the Helicopter, Lambie, and Baby Cece are all included. Adventurer or pirate, she'll need a great telescope! 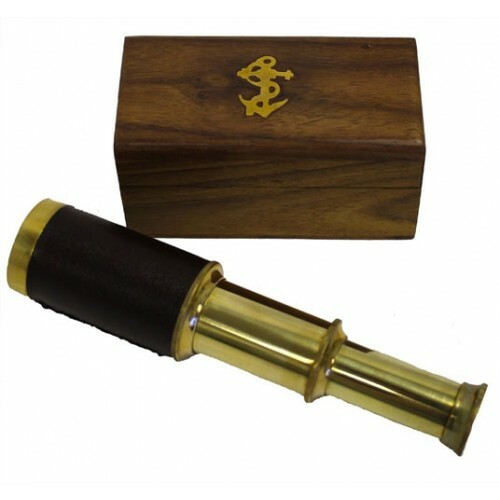 This telescope is modeled after older style scopes, made of brass and with a leather handle.. It can be focused by fully extending the entire body of the telescope, then slowly contracting and expanding the eyepiece portion only. And when she's done, tuck it away in an ornate wooden box for storage. 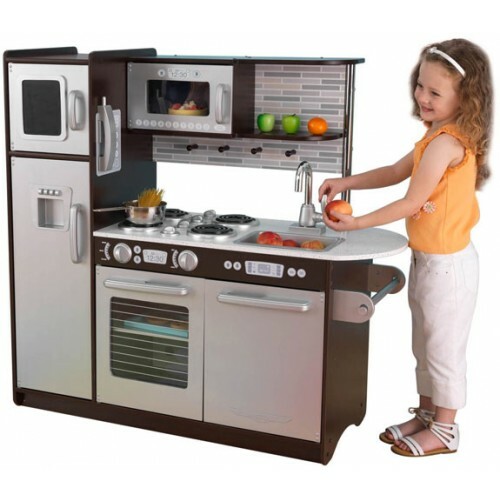 KidKraft's Uptown Espresso Kitchen has a hip, modern look that young chefs are sure to love. This wooden kitchen is full of fun details like a cordless phone and a chalkboard for writing the daily specials. 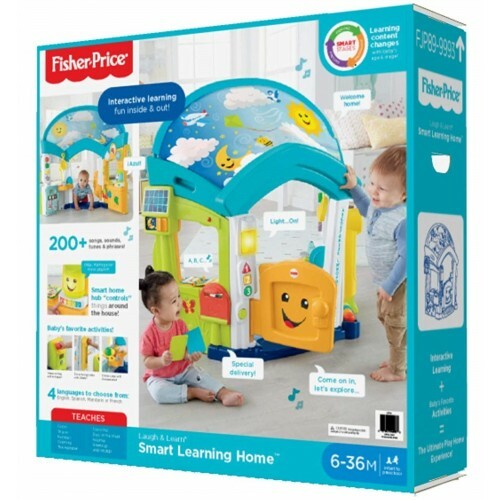 It's big enough that multiple children can play at once, but its design allows you to place it against the wall for more circulation space in a smaller play area. 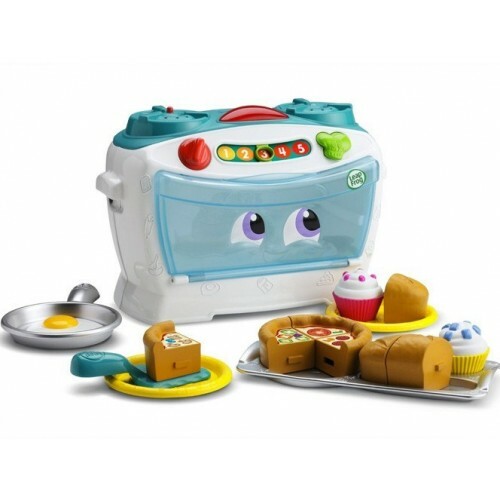 What will they cook up today? It's always show time! 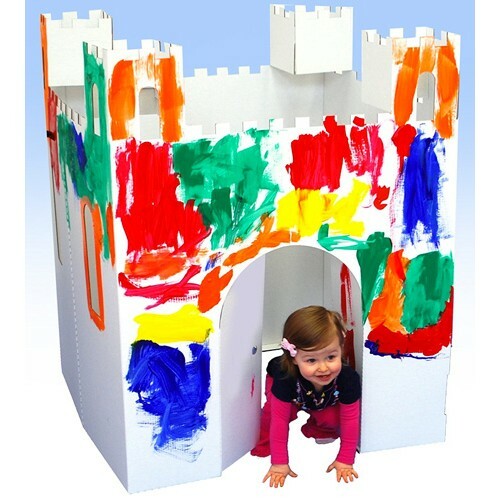 This wooden puppet theater from Melissa and Doug has been designed with a sturdy, non-tip base and plenty of room inside for a puppeteer or two! 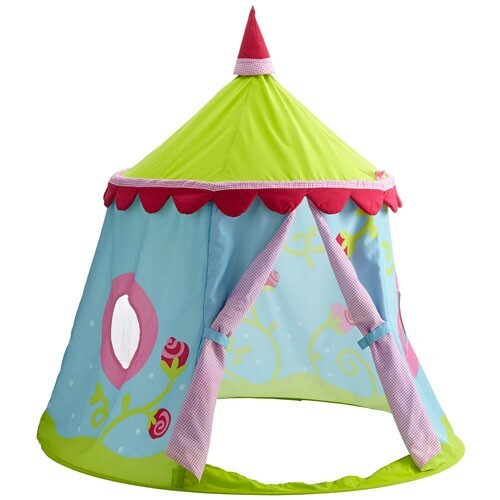 The stylized theatrical graphics and plush, velvety curtains will inspire creativity and expression in any child. 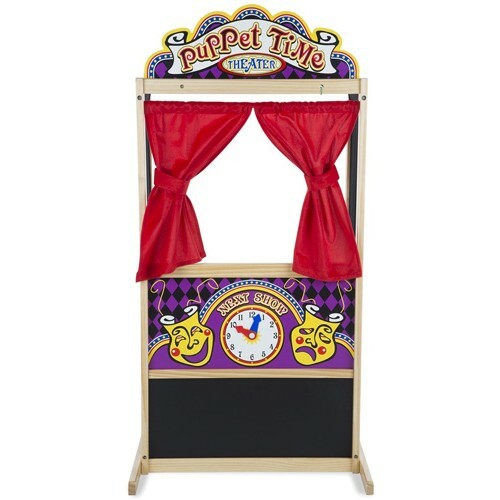 Including a clock with movable hands and a chalkboard panel for playbill information, it's a stage just awaiting imagination! 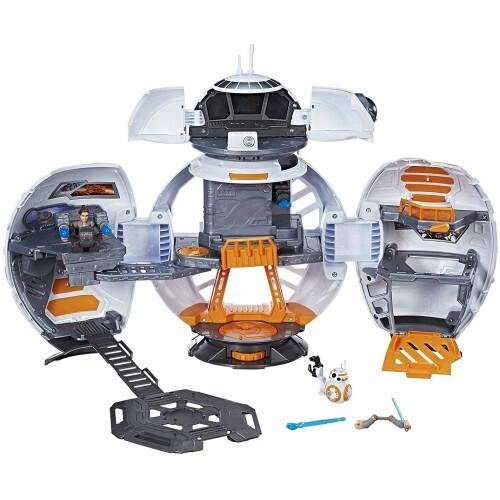 Get ready to take on the First Order with this BB-8 shaped base from Playskool! 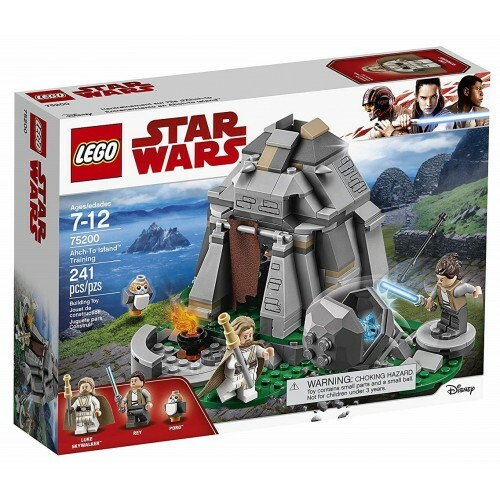 The included Rey figure can explore the swiveling turret, telescoping head, and secret command center as she prepares to defend the base against all comers. 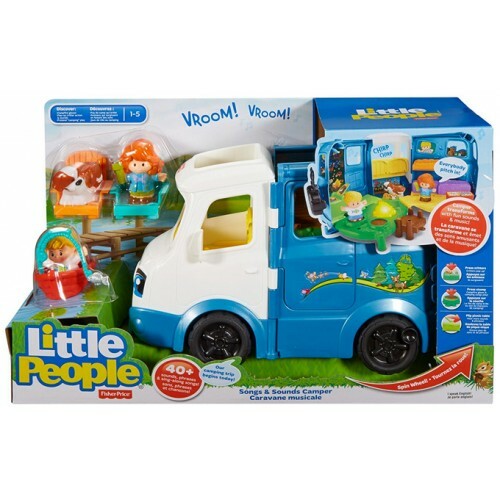 Sound effects, light up screens, and projectile launchers provide hours of fun! For more products featuring this popular character, visit our Rey Collection. 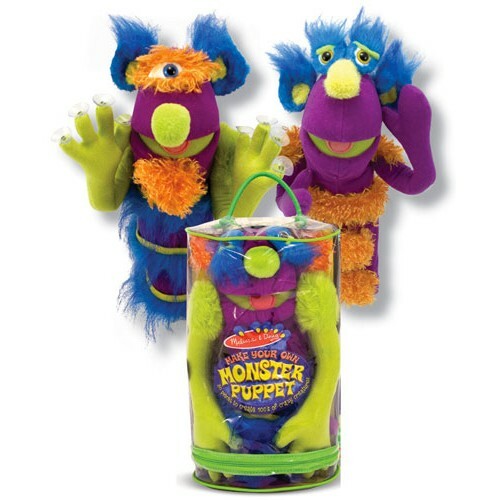 Have fun building your very own monster puppet with this kit from Melissa and Doug! 30 different plush pieces, including eyes, ears, horns, and more, attach with Velcro for easy assembly -- and disassembly when you're ready to make a new friend. The premium fabrics ensure that your monster will hold up to hours of play! The sonic screwdriver is your most vital tool whilst traveling through time and relative dimensions — and the Doctor's 13th regeneration puts her own unique spin on this highly useful device. 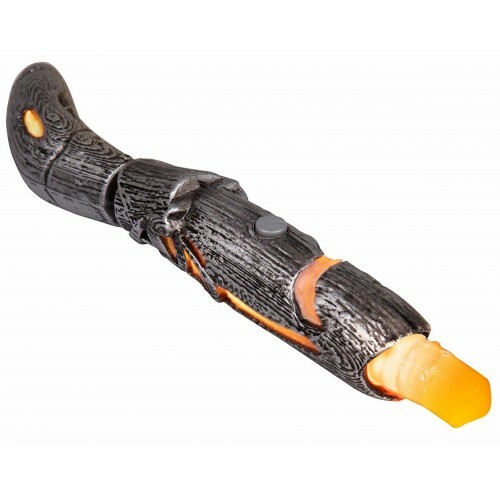 This officially licensed replica of Jodie Whittaker's sonic screwdriver from Se7en20 includes both light and sound effects. 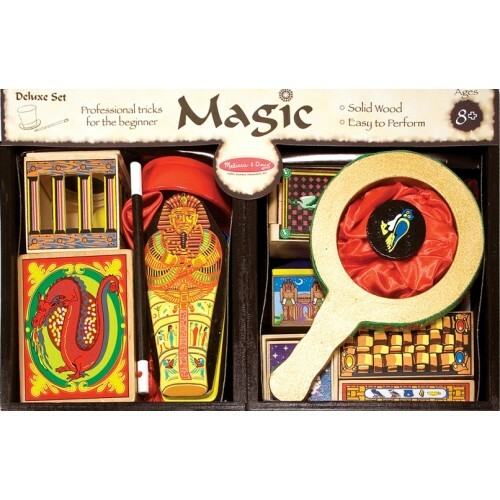 It's perfect as a collectible, for cosplay, or for day-to-day playtime imagining your own adventures through time! 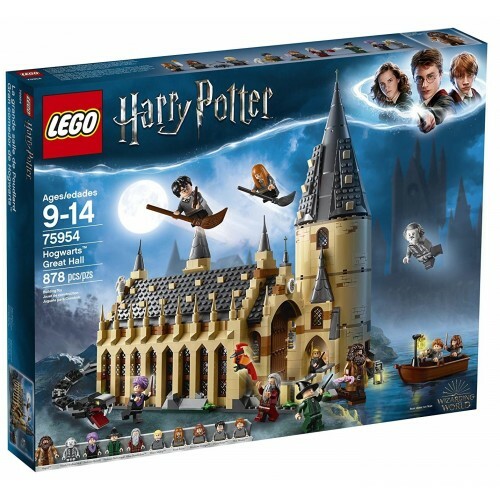 Join Jedi Aayla Secura on the battlefield of the Clone Wars with this 305-piece LEGO set! 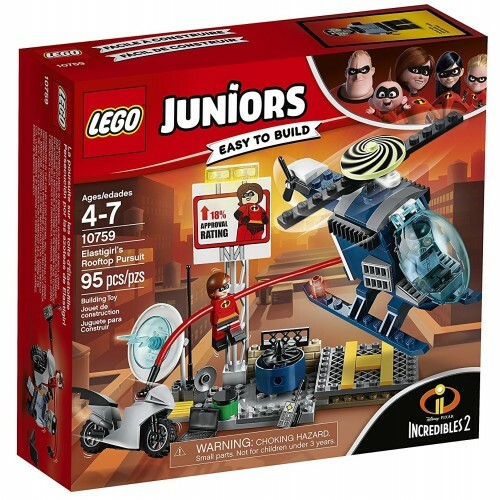 Kids will build a 6" long fighter tank that features an opening top hatch with a minifigure cockpit, two elevating guns with stud shooters, a rear ammo store, and hidden wheels for a hover look. 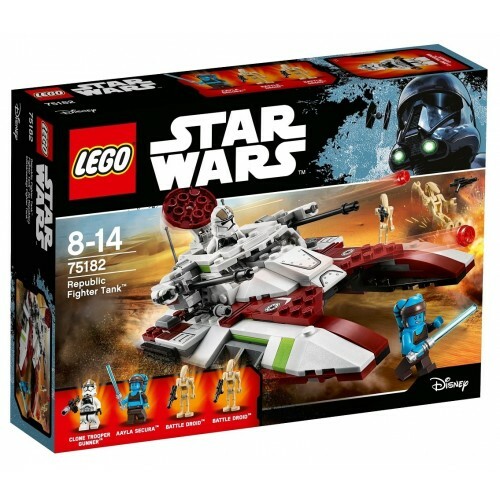 The set also comes with minifigures of Secura, a Clone Trooper, and two droids. Ice or snow, she's ready to go! Everest is off to the rescue with this tough snowmobile that can handle any winter weather. 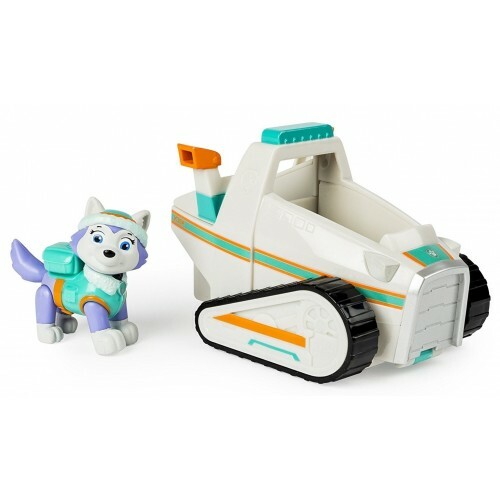 Sit her in the driver's seat and head off through the storm; if she runs into any major obstacles, she can use the moving claw at the front to pull them out of the way. 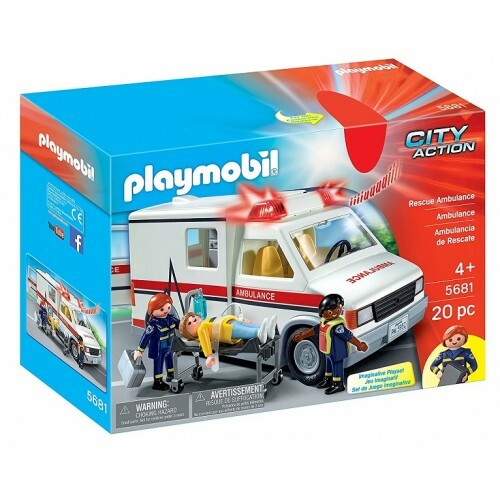 It's the perfect cold-weather addition to your Paw Patrol collection! 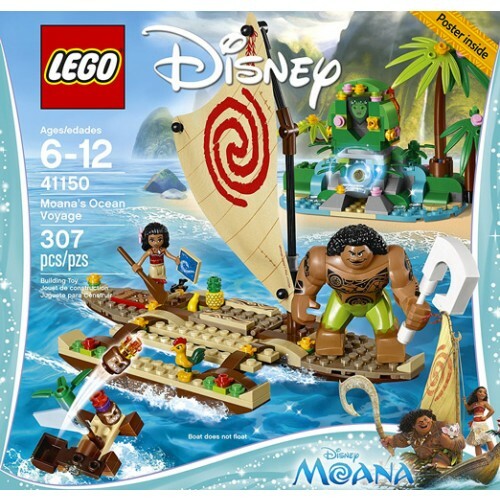 There's so much to do in the great outdoors — even when it's LEGO! 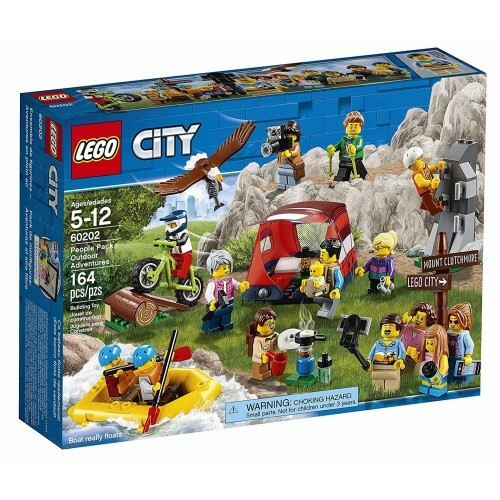 With this People Pack from the LEGO City series, you can add diversity to your brick box with a wide variety of figures, including lots of female options. 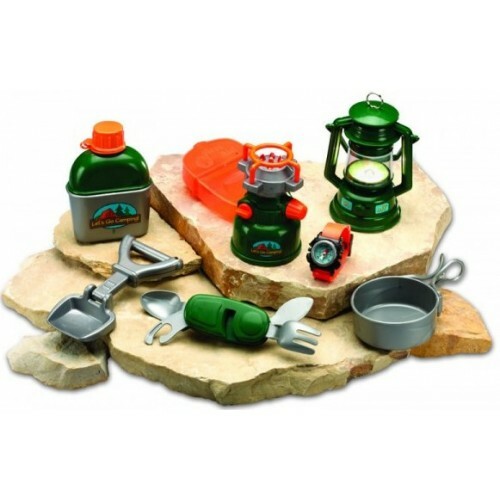 The set includes accessories to create a variety of outdoor-themed vignettes, including a mountain wall, tent, mountain bike, and dinghy. 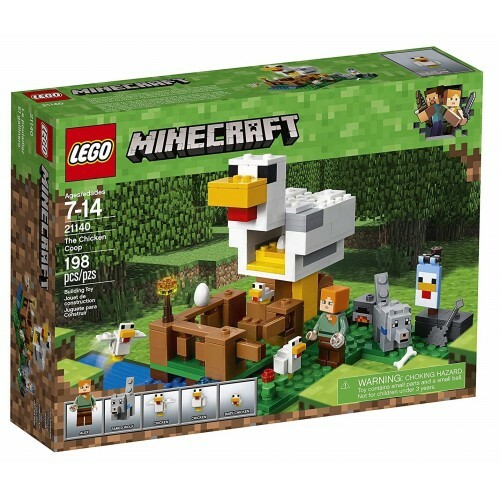 Fourteen mix-and-match minifigures come with fun accessory pieces, from a camera for the perfect wildlife shot to camping and hiking gear. 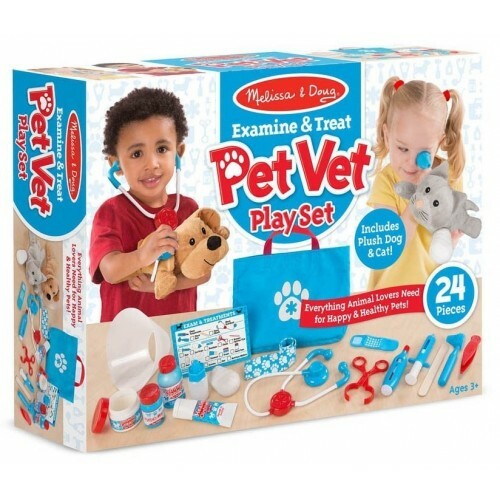 Examine and treat two cuddly animal friends with this play set from Melissa and Doug! 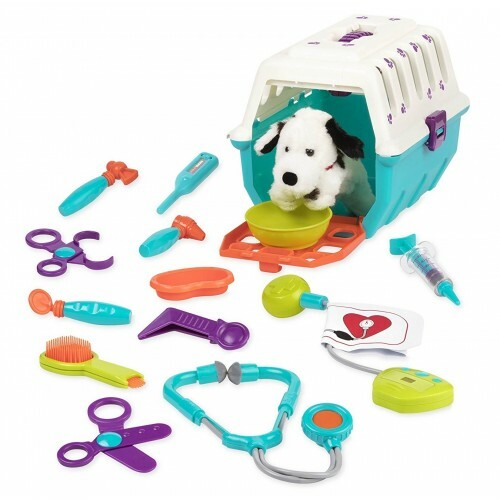 This vet set comes with vet tools, medicine bottles, bandages, and more — it even includes a cone to keep pets from licking a sore spot! The plush dog and cat make great patients and cuddly companions when playtime is done. 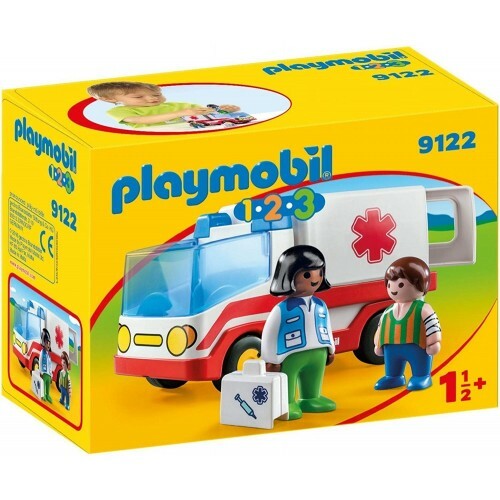 With 24 pieces included in the set, all stashed in a handy tote bag, little vets will happily make plenty of house calls! 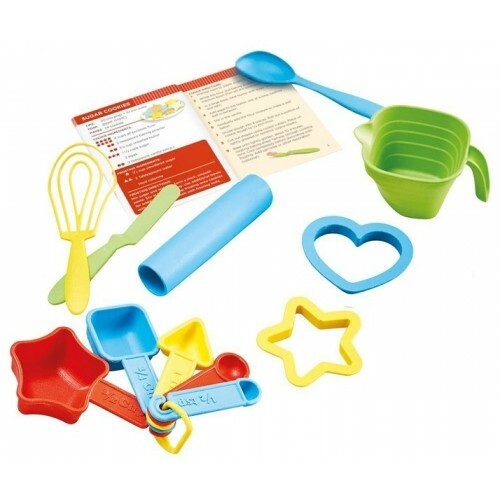 With this unique baking set from Green Toys, kids learn to measure one shape at a time! Each measuring spoon is a different shape, so that pre-readers can quickly and easily identify the right measure to use as they prepare a variety of easy-to-follow recipes. The recipe booklet also provides text instructions for older kids! 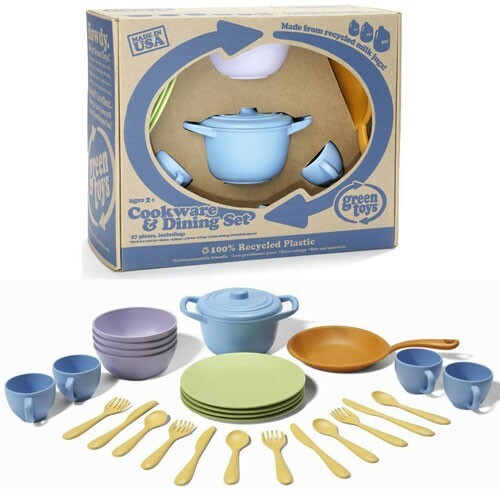 This 11-piece set includes a set of five measuring spoons, a measuring cup, a whisk, a frosting knife, a mixing spoon, a rolling pin, and two cookie cutters — and like all Green Toys, it's made in the USA with food-safe, 100% recycled plastic with no BPA, phthalates, or PVC. 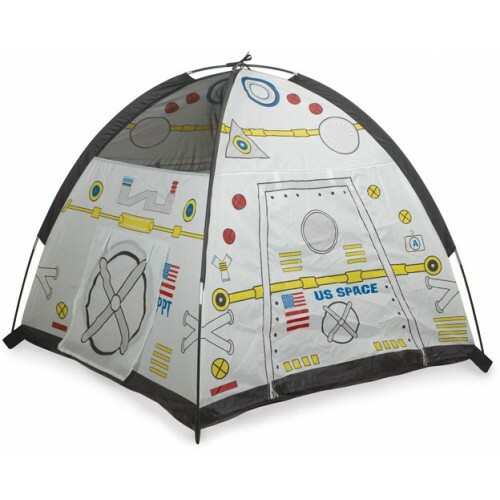 Get ready to blast off to adventure with this gorgeous rocket ship tent! Sturdy, durable poles make sure this tent can hold up to all your adventures, but it can still fold flat for storage or transportation. 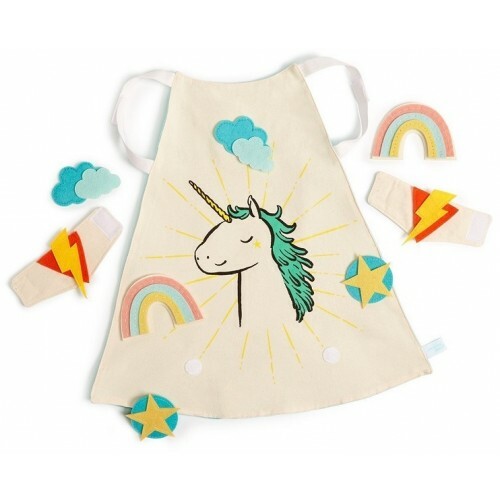 It's fabric is easy to clean and colorful, inspiring plenty of space adventures. 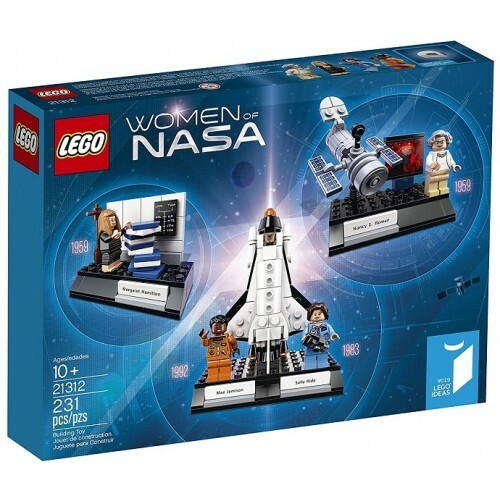 As an added bonus, it comes with a "space projector" with 24 color images of the moon and other outer space sights. 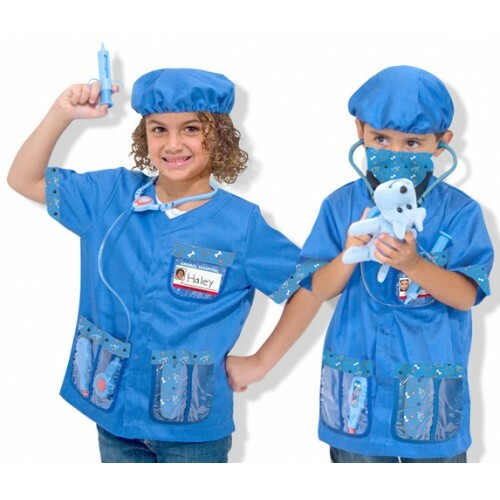 Your stuffed animals and toys have never been more excited to get their check ups. 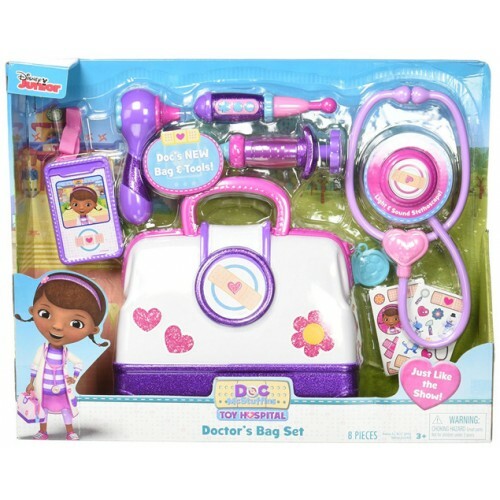 Now your little Doc McStuffins can "practice" her skills and nurture her favorite toys back to health. 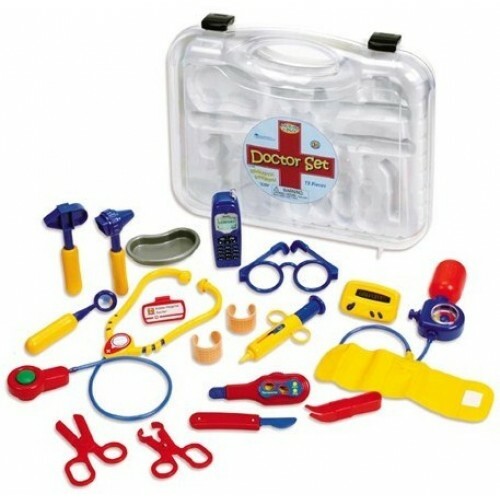 Features a bag, play syringe, blood pressure cuff, otoscope, bandage cuff, sticker sheet and Doc's magical stethoscope. 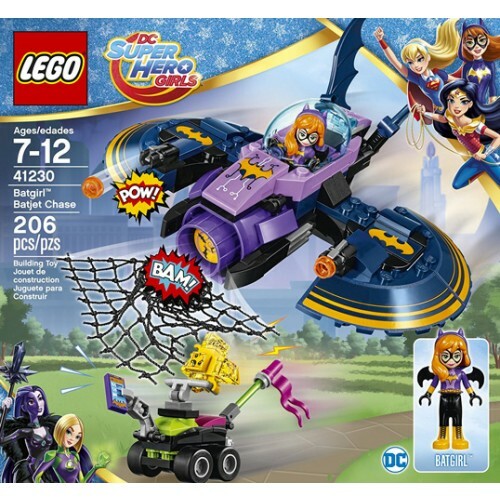 Batgirl is back with the DC Super Hero Girls, and as always, her utility belt is full of useful gadgets! 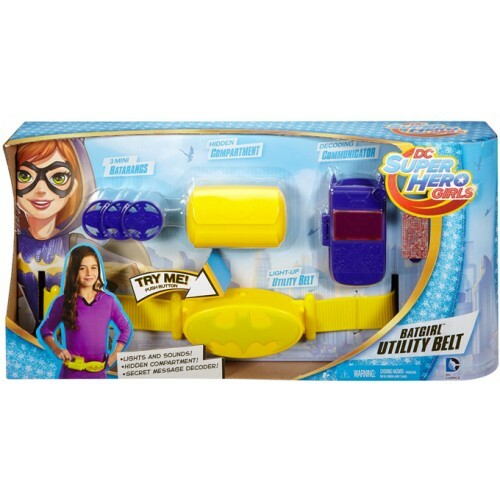 Girls can imagine themselves saving the day with this great belt, which includes a bat symbol buckle that activates sound and light effects, a phone with secret messages in one compartment, and a hidden compartment in one pouch. It will give her plenty of fodder for her super adventures! 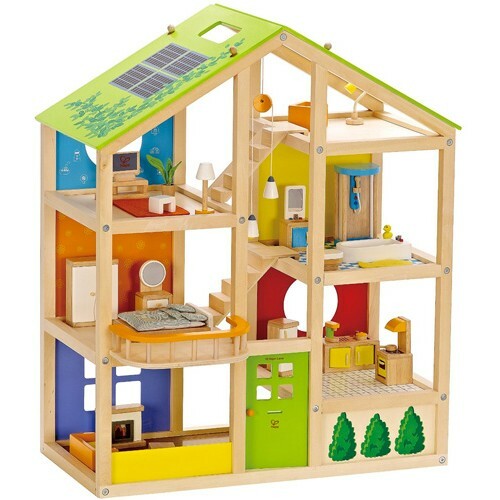 Get ready to observe the wildlife in this terrific tree house from Playmobil! Use the gear to observe bears, owls, foxes, eagles, and more. 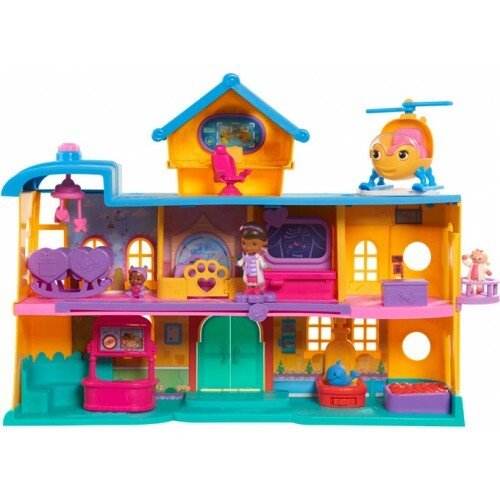 The tree house's pulley system will help you get heavy supplies to the top, and when it's nighttime, you can raise the stairs to keep curious critters out. 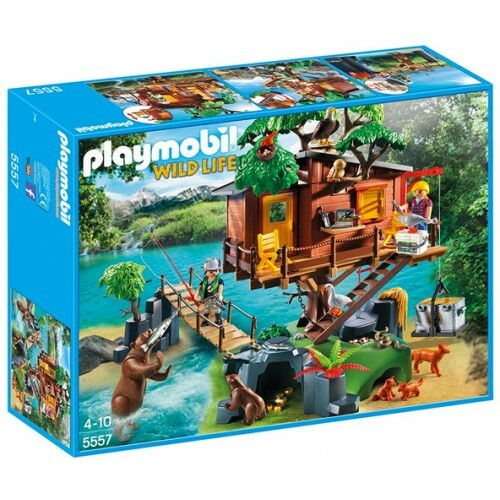 With dozens of fun wildlife accessories, you'll have hours of fun with this set, which is compatible with all other Playmobil sets. 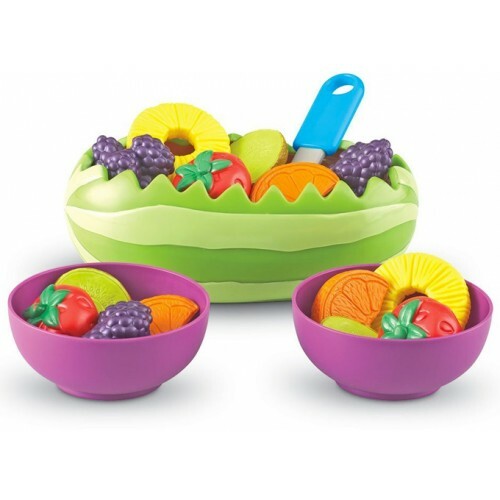 Serve up delicious scoops with this set from Melissa and Doug! 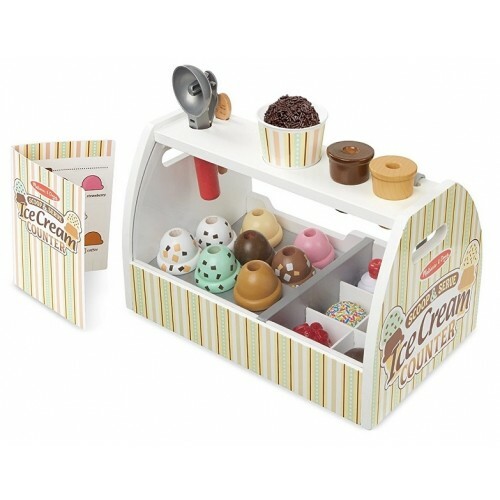 This set includes 8 wooden ice cream scoops in different flavors and six different toppings. Scoop them up, pop them on the cone, and deliver them to a happy customer! You can even take orders on the reusable menu card. It's a sweet treat that kids will love to use over and over. 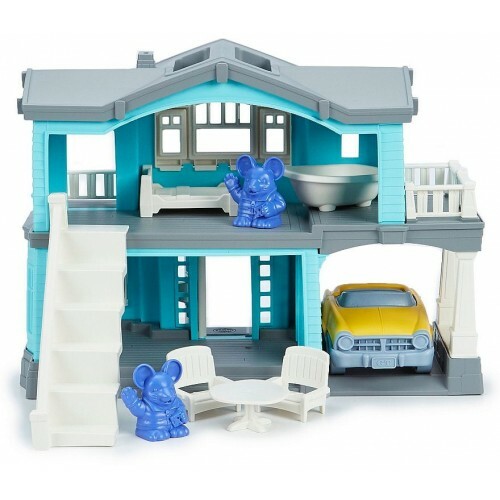 For many families, life isn't complete without a pet — so why should the dollhouse be any different? 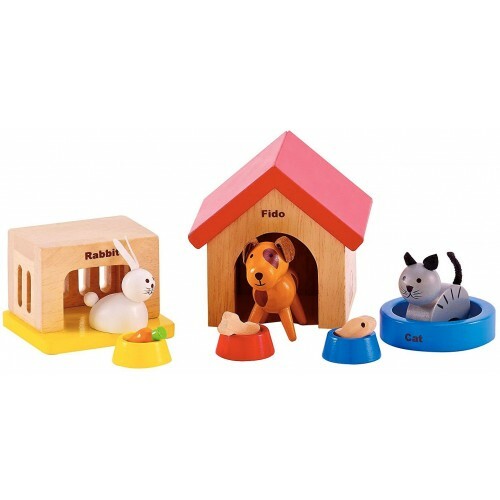 This set includes three different family pets: a dog, a cat, and a bunny. 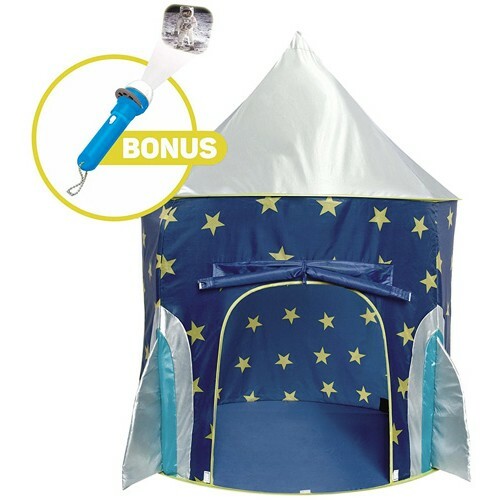 Each comes with a place to sleep, a food bowl, and a treat or toy to keep it happy. 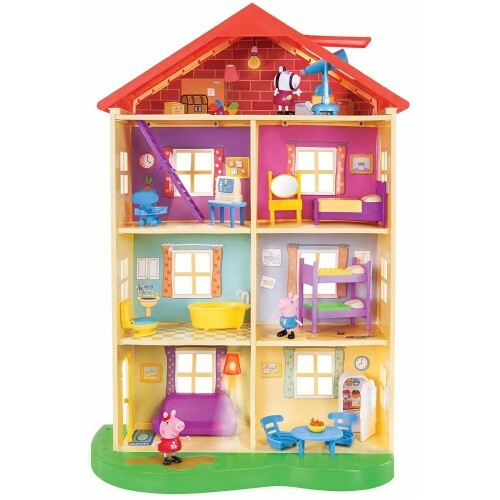 They're the perfect addition to make your doll house feel like home. 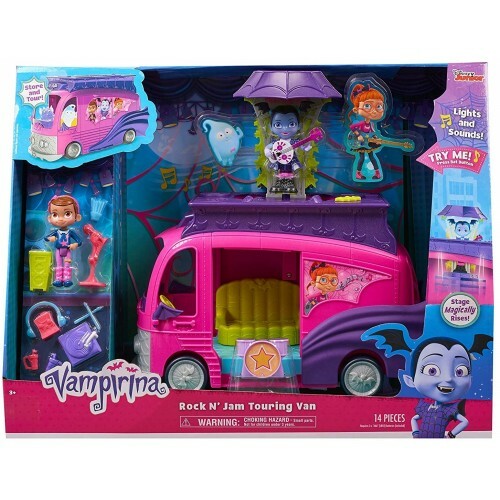 Vampirina's band the Ghoul Girls is a top act, and now kids can play out all their touring adventures. 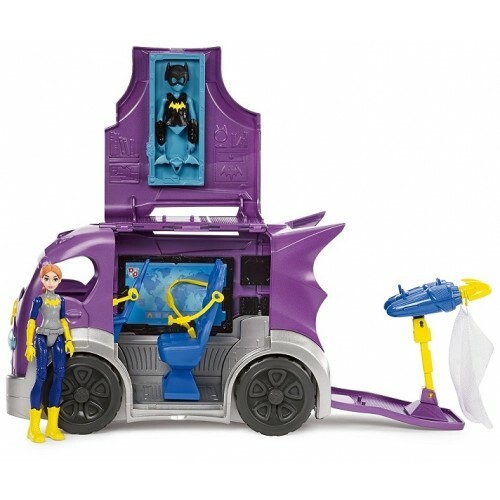 The van transforms into a spook-tacular stage, complete with a rising light-up platform; press the bat button to hear Vampirina play her starring number, "Living the Scream." Or, when the show is done, transform it into a rock star lounge so the ghouls can relax. 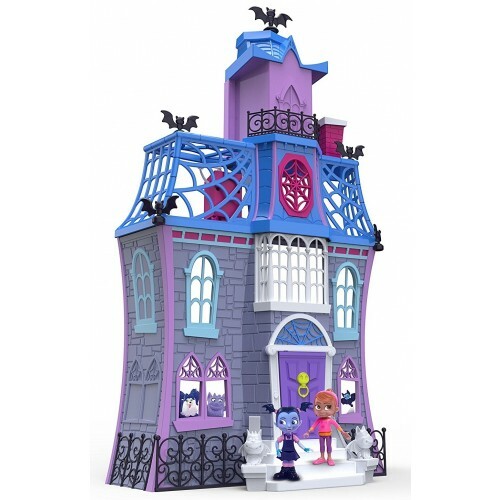 The set comes with Vampirina and Poppy figures, as well as a drum kit and drumsticks, a record player, a standing microphone, a speaker, headphones, Vampirina's spookylele, and more. Fly high with these amazing plush butterfly wings! 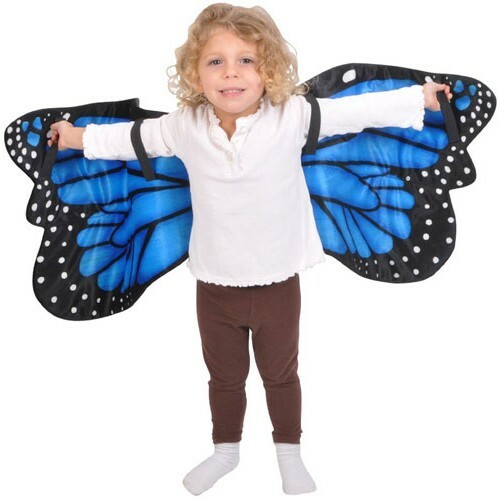 These soft and colorful replica morpho butterfly wings will rapidly become a pretend-play favorite. The 44" wings have an elastic band on each side, so it's easy to flap them, and there's a plush butterfly body on the back so they look great hung on a wall for storage. 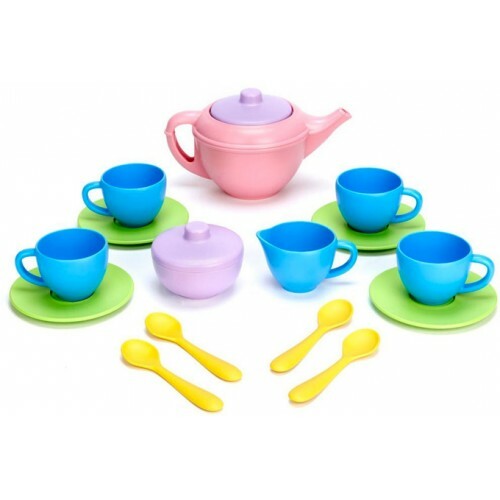 Bring international cuisine to your play kitchen with this set from Melissa and Doug! 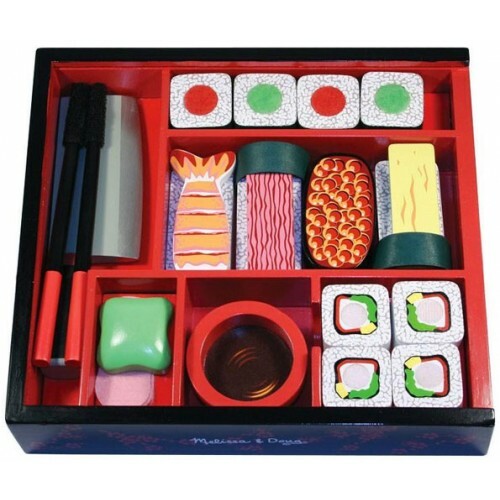 With a variety of sliceable sushi selections, wasabi, ginger, and even a pair of chopsticks, there's lots of pretend play potential in this set. The knife even makes a satisfying chopping noise as it "cuts" through the Velcro connections. 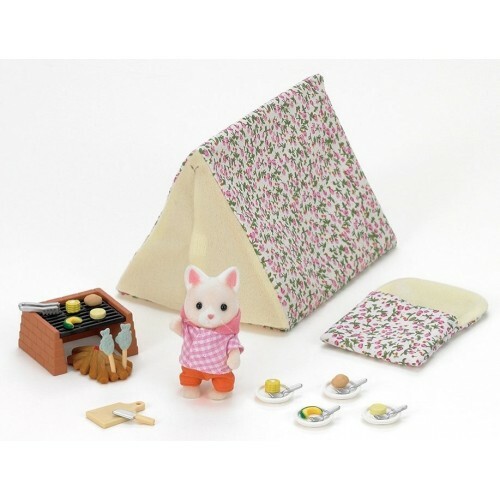 Sushi fans young and old will love this set. 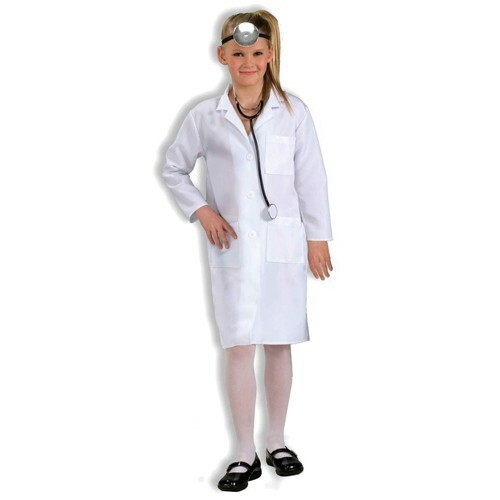 This junior lab coat from Aeromax is the real deal! 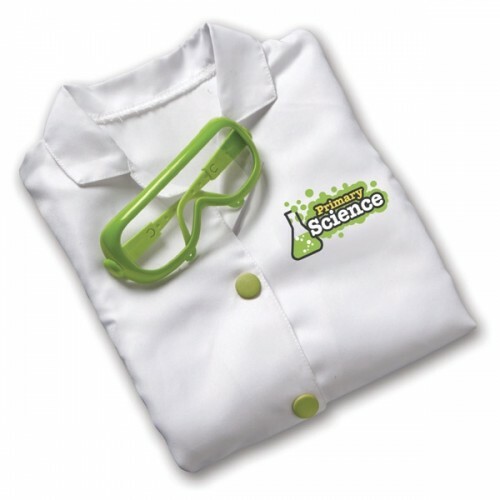 While it's perfect for pretend play as a doctor, vet, or scientist, it's also usable as a real lab coat for when messy experiments are on the agenda. This 3/4 length coat is made of a dacron/cotton blend so it's durable, lightweight, and even machine washable for when science gets messy!